David Marshall’s report on auto insurance, Fair Benefits Fairly Delivered. Back in April, David Marshall’s report on auto insurance, Fair Benefits Fairly Delivered was submitted to the Minister of Finance. What followed was a consultation process, in which that I participated. On December 5, 2017, the government announced their plan to address fraud and high premiums. I was relieved to see that Marshall’s recommendation to create an independent evaluation centre network in public hospitals was abandoned. This is an op-ed piece I wrote, which was published in the Toronto Star in October that dealt with this specific issue. Attempts by the province of Ontario to fix auto insurance could well end up causing more harm than good to the health care system. Now, that’s not how it’s supposed to work. And that’s nobody’s intention. But we’d all have to live with the result. Here’s how we got here: The provincial government is considering a round of reforms for auto insurance in Ontario, unfortunately without basing those decisions on decent data, evidence or analysis. If adopted, the end result is going to send more people, not fewer, to hospitals, and all at a time when overcrowding is already at crisis levels in the province. We didn’t start out with a flawed system. Most people would agree that the introduction of no-fault auto insurance in Ontario was the right thing to do. Ontario drivers deserve an affordable system that provides coverage and protects accident victims and that’s what they got. It didn’t last. The insurance industry began to pressure government to make changes. Political pressure then led to successive governments adopting half-baked, knee-jerk solutions to auto-insurance delivery — anti-fraud measures were implemented, a licensing regime was created, a new dispute resolution system was put in place, basic accident benefit coverage was reduced. Since 2010, there have been more than 30 changes to auto insurance regulations, most, if not all, with the intention of lowering costs. Few people will suggest the system has actually been improved in that time. The government is now considering another round of reforms. This time it’s through David Marshall’s report on auto insurance, Fair Benefits Fairly Delivered. But these changes, if adopted, will be no more successful than the previous reforms. One of the most alarming is the suggestion that medical exams, when required after an accident — which are currently done in independent medical centres — should happen in hospitals. That is robbing Peter to pay Paul. Actually, it’s worse than that. It’s trying to fix one system while hurting a far more essential one. Current OHIP patients typically wait six to 30 months to see a specialist for an assessment. According to a recent story in the Toronto Star, it now takes 30.4 hours to be placed in an inpatient bed from the emergency department in the province. That’s the longest it’s ever been. There’s no way this helps with that problem. I had the lead in developing and introducing the system which saw independent medical assessments being done as part of auto insurance claims, back in 1994. In the beginning, some were conducted in hospitals. That didn’t last. While hospitals have different needs and resources, some could make better use of the space required, while others may not have had the patient volume to justify offering the assessments. Still more may have had trouble simply finding assessors. On the whole, hospitals decided on their own their resources were needed elsewhere. There’s no doubt that’s true. The other troubling recommendation the province is considering is a proposal to adopt a controversial Workplace Safety and Insurance Board model for auto insurance medical exams. The systems aren’t transferable. For example, the examiners in the WSIB system don’t appear as witnesses in disputes. But disputes are built into auto insurance claims. As a result, the proposed changes have the potential to add another layer of assessments and costs. 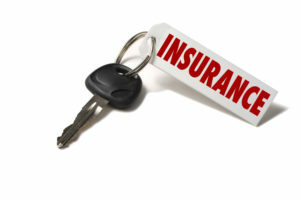 Changes can and should be made to auto insurance in the province. It would be better for the province to focus on standards for those who conduct the independent examinations — something that has been recommended many times in the past. But that’s one change that’s never been made. I don’t see that happening. Instead, I believe that implementing this report would repeat past errors. We’ve had enough of those already.